A senior football player from Evergreen High School has tragically died after he was critically injured while making a tackle during a game against Highline High School on Friday night, The Seattle Times reported on Monday. According to The Times, Kenney Bui was playing in a game against Highline Friday evening when he tried to make a tackle against an opposing player during the fourth quarter. 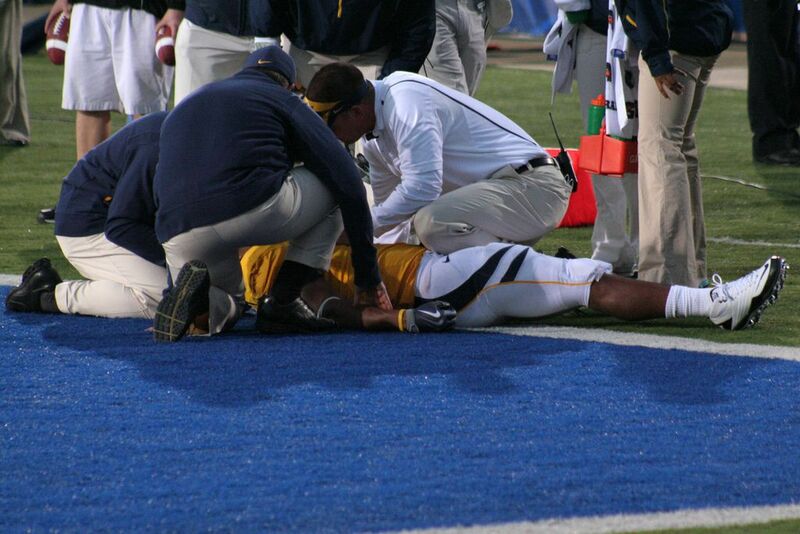 As he made the play, Bui reportedly went down immediately and was not responding to trainers’ tests. He was immediately transported to Harborview Medical Center in Seattle for treatment of what was being described as a serious traumatic brain injury. Upon his arrival at Harborview, officials say Bui underwent an emergency surgical procedure and was transported to the intensive care unit for monitoring. Even after the surgery, hospital officials said he remained in critical condition and was being closely monitored. But by Monday morning, Bui’s condition had significantly worsened and he tragically succumbed to his injuries. His family has asked for privacy and school officials have remained relatively quiet on the specifics of the incident, which isn’t necessarily a surprise. Officials tend to be very conservative about statements to the public after someone in their care, particularly a young high school student, is seriously injured. David Young Jr., a senior at Adna High School near Chehalis, suffered a neck fracture while trying to make a tackle on a similar play. Young reportedly ran over to the sideline immediately after the tackle and complained of serious neck pain. Trainers initially thought Young may have simply suffered a “stinger” on the play – a minor injury that usually dissipates rather quickly – but it soon became apparent that he was dealing with something much more serious. He has since been fitted with a halo brace to support his neck, and his family has revealed to the media that there are questions about his long-term health following the neck injury. 17-year-old Ramon Oros, a senior at Pateros High School in Okanogan County, was also hospitalized at Harborview Medical Center after he suffered a head injury during a game on September 25, the week before Young and Bui’s injuries occurred. Oros also underwent emergency surgery to relieve swelling in his brain, and he is now in satisfactory condition. For most scenarios involving an injured child (or even an adult) who was hurt while participating in a school-sanctioned sport, there is an understanding that the participation in a physical activity does come with an inherent risk of personal injury. In fact, most student-athletes in today’s world are required to sign a waiver acknowledging this risk before they are even allowed to play. Understanding and determining liability for bodily injury can be difficult regardless of the circumstances, and it’s important to understand that the details surrounding these situations should be taken case-by-case. That being said, there are a few potential circumstances where a school district or other organization responsible for players’ safety could be found negligent and held liable for the players’ injuries. School sports teams are required to have trained sports medicine professionals on-site for all school-sanctioned activities in order to evaluate, diagnose, and treat injuries and illnesses of student-athletes. There are a number of procedures for the diagnosis and treatment of a variety of different injuries and illnesses, all of which are designed to prevent, or at the very least limit the extent of, a potential injury. If these processes and procedures are not followed and a player is subjected to further injury as a result of a school’s failure to protect the student’s health, then that’s when a school could be potentially held liable for the student-athlete’s injuries.